In some of the latest research, it has been shown that focusing on teachers and their level of stress is one of the best ways to help students. Think about it. It is the same advice given on a plane – put the oxygen mask on yourself before you help your others. 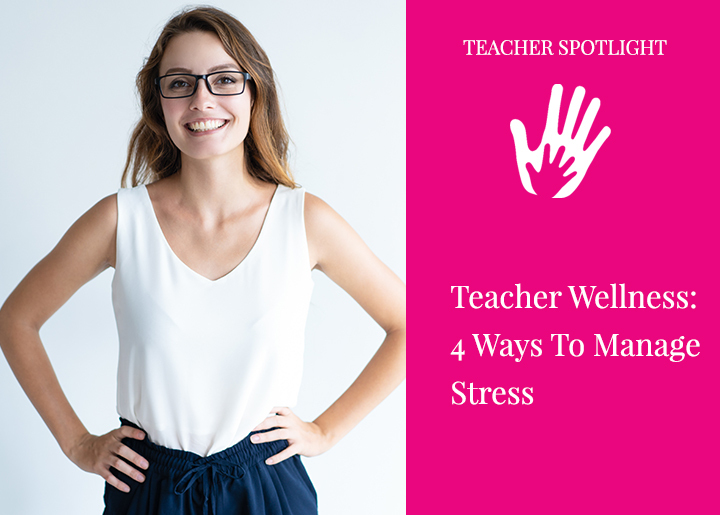 When teachers are able to use strategies to take care of themselves, to reduce their own stress levels, they are better able to help students. And when students receive this kind of support, their stress levels go down and they are able to manage academics and the social aspects of school better. Which, in turn, reduces stress for teachers. It is clear this is a cycle that deserves repeating and is way better than the cycle of stress that currently exists in many schools. So what can you do to manage your own stress in school? Mindfulness is being aware of what you are feeling without any judgement of those emotions. Mindfulness and meditation often go hand in hand. Teachers can be more present and supportive of their students’ needs when they are aware and in control of their own emotions, especially in stressful situation. It is important to practice mindfulness outside of the classroom when you are not stressed out. Take a class, download an app, try some yoga. All of these help you practice noticing your thoughts without judgement. As you get more and more aware of your thoughts, you will incorporate this strategy when a stressful situation arises in class. When the classroom gets particularly stressful, it is important to get a break. We teach this to our students and it applies to teachers just the same. Taking just a few minutes outside of the room can help clear the mind and give your brain a reset. Go get a drink of water. Use the restroom. Check your mailbox. If there are no other teachers in your room, have another teacher who you can call or text in order to cover you. Nothing fancy here! Your brain, amazing organ that it is, works hard to keep you safe. Your prefrontal cortex helps you make plans and stay organized. Your amygdala is the bodyguard. It is the “fight or flight” part of your brain that activates when you get stressed out. When something stressful happens in class, your amygdala is ready to act and your prefrontal cortex takes the back seat. But you need that prefrontal cortex to do its job, especially when you have to figure out the best way to help a student! Taking some breaths gives control back to your planning brain. Stress can be healthy and in a normal cycle when some kind of stress is introduced, the amygdala fires up, we react, then we get a chance to calm down and reset. Our brain and our bodies adjust back to normal. Science tells us that when we are constantly exposed to stress, our amygdala works overtime and we don’t get a chance to reset. Make sure to have some time in your schedule where you can be alone and your environment is quiet. This will help your brain reset. Take some time to take care of yourself! Your students and your brain will thank you! Meg Howe is an elementary school teacher at a charter school in Boston, MA. She has been a teacher for 14 years spanning grades K – 5. 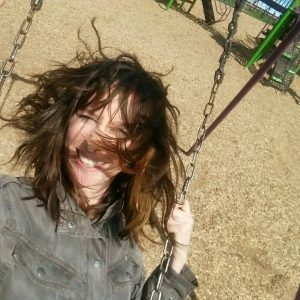 Meg has spent time teaching in public, private, and charter schools in Bellingham, WA, Rome, Italy, Los Angeles, CA, Buffalo, NY, and Boston, MA. Meg also runs her own blog at AliceEverAfter.com that features her thoughts on children’s literature. She has a passion for picture books and middle grade books and hopes one day Kate DiCamillo can be her new best friend.